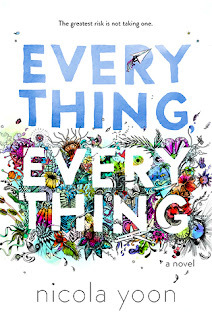 Nicola Yoon's debut Everything,Everything was nothing like I expected it to be, and though at some points during the reading process I did not quite know what to think, at the end, I was impressed and I am sure this is one of those books that I will think about for a long time. I think that is always a sign of a satisfying book. Madeleine has spent her whole life in confinement. She has never been to a regular school, to a mall or a movie theatre. She does not have real friends because she cannot go outside and it is extremely difficult for her to make her mother allow anyone to come inside. Madeleine suffers from SCID, a disease that means that she's allergic to the outside world; even a minute in unfiltered air could break Madeleine's non-existent immune system. Though Madeleine dreams about the outside world, she is as happy as she can be in her bubble filled with books, studying and hanging out with her mother and her nurse Carla. But then a new family moves to the house next door and Madeleine gets increasingly intrigued by Olly, the boy next door. Through online chat, they connect and fall for each other and Madeleine starts to think that maybe she would rather have a couple of days in the dangerous outside than a lifetime in the protection of inside. As I said, there were points in this novel that really made me question what to think about it. First of all, there are a couple of plot inconsistencies in this novel that are glaringly obvious. First of all, SCID is never really explained properly (I don't want to spoil the book for you, but this lack of explanation will become significant at one point). Secondly, there are a couple of points relating to the system people have to go through to get into the house that just don't make much sense. I know for some readers, those inconsistencies can be the thing that distance them from this book. Usually I am a reader that really clings into inconsistencies like that as well, which usually ends up with me giving a low rating to the said book. But with Everything, Everything something different happened. I was so intrigued by the story and by these characters that I was able to forgive those glitches just so I could keep reading. And I am happy that this happened, because I ended up really enjoying this book. Though both Madeleine and Olly are great characters, what I really loved about this book was the writing style and the inventiveness with the form. Usually characters are the reference point for me that keeps me wanting more, but with Everything, Everything I was most excited to see how Yoon uses short chapters, chapters consisting of instant messages, emails as well as illustrations to tell the story of Madeleine and Olly. The illustrations, made my Yoon's husband, are beautiful and fit so well to the story (and I have a feeling my tablet screen did not do justice to them, which means I definitely need to get my hands on a physical copy of this novel). Due to the short chapters, the pacing of the novel is quite quick, which simply made me fly through this novel. I feel like with YA contemporaries I am rarely surprised by the events that take place, but with Everything, Everything I really did not see all the twists and turns ahead. I am impressed by Yoon's capability to keep the ending surprising yet honest to the overall storyline of the novel. This is definitely one of those books that I do not want to say too much about just so I don't spoil it for any potential readers. 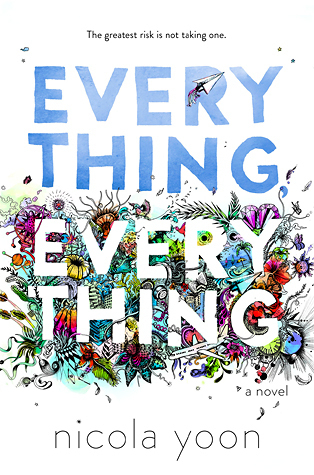 Everything, Everything is probably going to be one of those books that readers will either love or hate. As mentioned, for some the inconsistencies in the plot might be the turning point. But if you are able to see past those (it was quite easy, honestly, just because the writing is SO good) you are in for quite a ride. With likable, interesting, diverse characters (Madeleine is half African American, half Japanese) and subject matter that delves pass the surface, Everything, Everything is a touching, honest read about living life to the fullest and taking changes for those we love. With focus on Madeleine's illness and the ways her life change when she meets Olly, as well as Olly's life in a home where his violent father is a constant threat, Everything, Everything portrays two young people from very different situations, who despite their differences, are able to understand each other's imprisonment. With an inventive form, surprising plot twists and incredible prose, Everything, Everything is a very impressive debut from an author that I'll definitely need to keep my eyes on. "Do you ever wonder what your life would be like if you could just change one thing?" "Chaos theory says that even a small change in initial conditions can lead to wildly unpredictable results. A butterfly flaps her wings now and a hurricane forms in the future." Everything, Everything is an unforgettable story that will stay with me for a long time. This is one of the gems I picked up at the 2015 ALA Convention, and I knew once I got this novel in my hot little hands I would be jumping into the story quite quickly. Just opening the book and seeing the drawings and creative narrative, I knew I would be hooked. 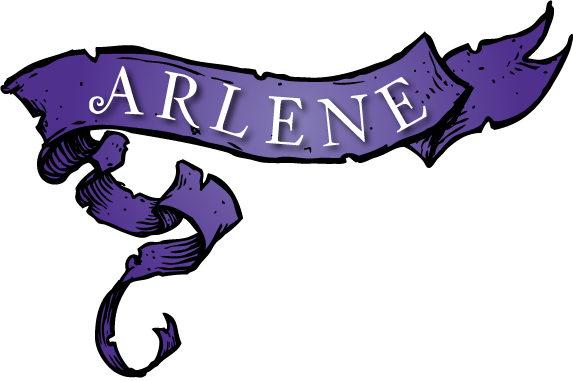 In this novel, we get to meet Madeline Whittier who has been confined to her home her entire life. She suffers from a rare disease known as Severe Combined Immunodeficiency (SCID), more commonly referred to as the Bubble disease. Maddy is forced to live in a sterile environment that limits her contact with others because of her inability to fight the common virus, colds and everyday germs. Her daily companions are her nurse Carla and her mother who also happens to be the doctor treating her disease. Maddy has come to terms with her condition and has adjusted her lifestyle to a routine of online studies, avid reading, Friday night French dinners with her mom and the occasional Pictionary and Phonetic Scrabble. She’s comfortable with her life and complacent with her situation. That is until a new family moves in next door, and she meets Olly. They get to know each other through limited interactions via email, instant messaging, window signs and eventually careful meetings that are orchestrated by Carla. Eventually, Maddy and Olly realize that life is too short and sometimes you have to take small risks to enjoy the possible results. I loved the twists and turns of this novel! Nicola Yoon reminded me to always go with my gut instinct when reading! It’s there for a reason. From the beginning, there was something about the situation and characters that had me second-guessing a few things. Clever author!! Maddy and Olly were a fun pair of main characters that were able to completely captivate my attention. I appreciated their dynamic situation, and constantly tried to figure out a possible solution to their situation. It was absolute bliss getting to know these two, and I couldn’t have asked for more when it came to a worth pair of narrators. I gave this book five stars for its heart, creativity and staying power. If this is Yoon's debut novel, I can only image where her writing career is headed! Amazing storyteller!! Everything, Everything is YA Contemporary at its finest. "Sometimes you do things for the right reasons and sometimes for the wrong ones and sometimes it’s impossible to tell the difference." 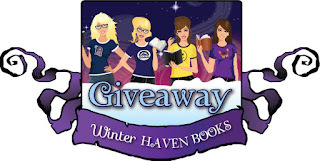 The publisher has graciously offered to giveaway a finished copy of Everything, Everything by Nicola Yoon to one lucky WinterHaven blog follower. Simply fill out the rafflecopter and share a thoughtful comment about why you'd like to read this book. This giveaway is open to US Residents only. I just skimmed your review since I have this to read too. I'm glad that you liked it and more importantly, I am glad that you called it memorable. I would love to read Everything Everything because I have been hearing such wonderful things about it!! I absolutely love this book! I'm still thinking about it after weeks of finishing it. I sat up all night reading because I couldn't put it down to save my life. I would have liked an epilogue at the end, but whatever. It was perfect! I would love to read this. Sounds like a very different book. This books sounds absolutely fantastic and very different from anything I've personally ever read. I would love to read this because this writer was introduced, to me, by your blog. Thank you. The cover of this is beautiful! And it sounds like a really interesting and cute story. The cover is soo pretty! And I LOVE diversity in YA books.